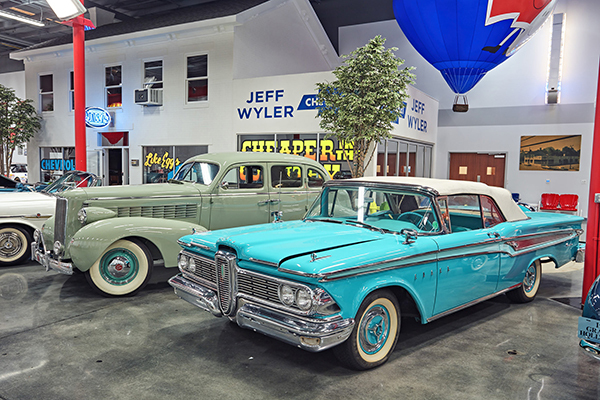 Jeff Wyler started buying model cars 20 years ago. 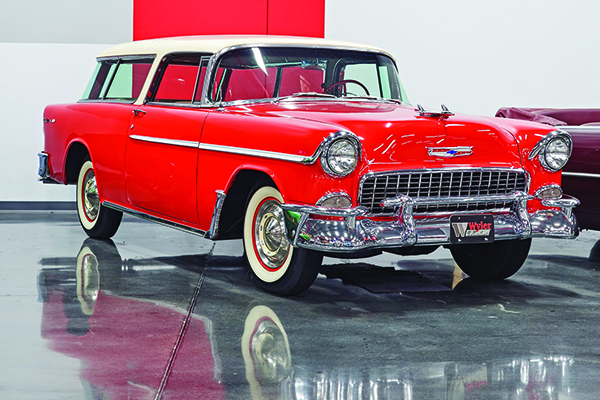 In eight years he collected more than 100, which now sit in a glass display case at the Jeff Wyler corporate office in Milford. 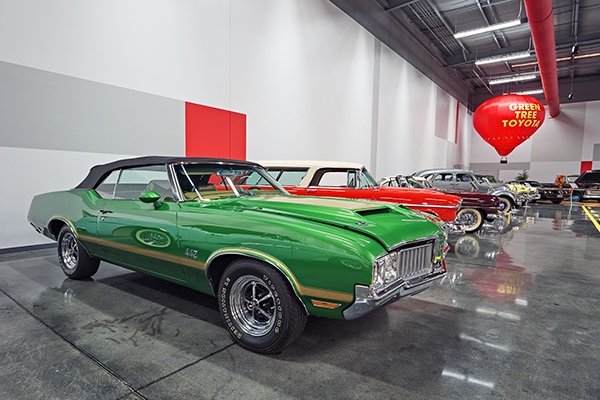 Even more impressive is his private museum (open by appointment for serious buyers only) of 44 real cars parked in the next room (which is designed to look like downtown Batavia in 1973, the site and founding year of Wyler’s first dealership). 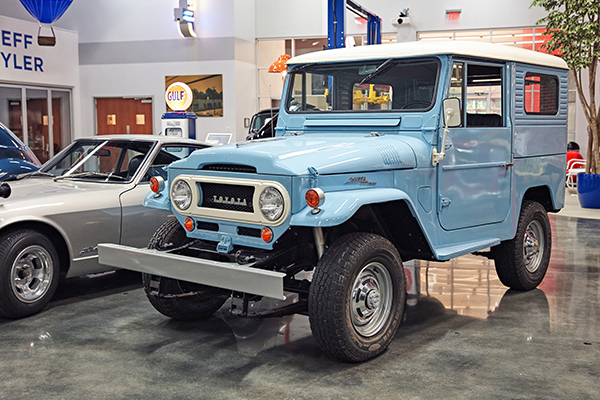 From the Toyota Race Truck that won the 2007 Daytona NASCAR Craftsman Series to a rare 1958 Dual-Ghia—one of only 32 known to exist today—the Wyler Collection spans decades of classic automobiles. 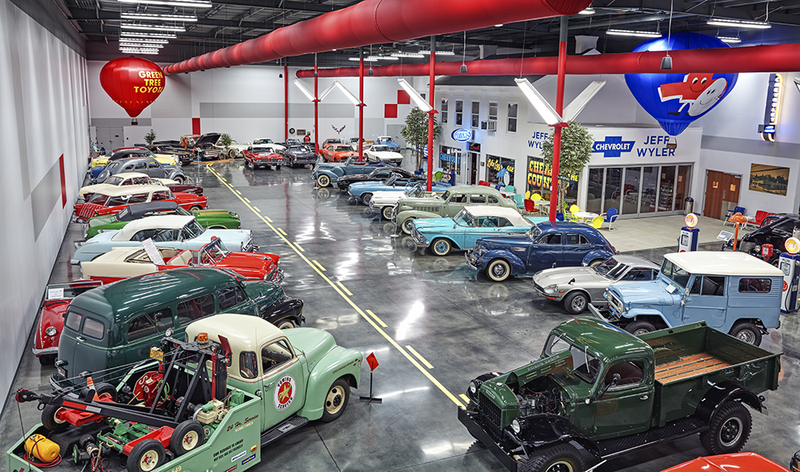 And each car holds a special meaning, like the black 1939 Chevrolet Master 85 Business Coupe—a replica of the car Wyler drove in high school. 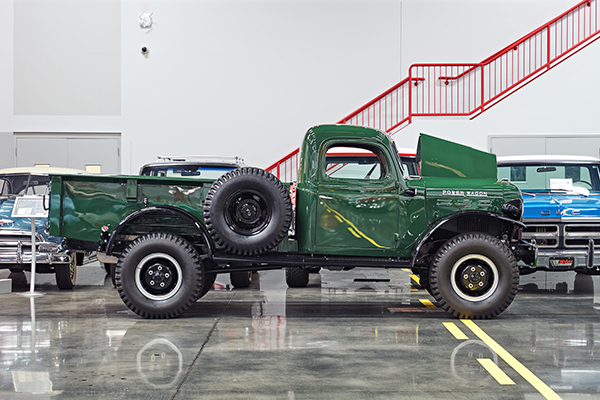 It all started in 2008, with a trip to the Barrett-Jackson Auto Auction in Scottsdale, Arizona, where Wyler and his two sons purchased three cars, including a yellow 1948 Willys-Overland Jeep, which still sits in the museum today. 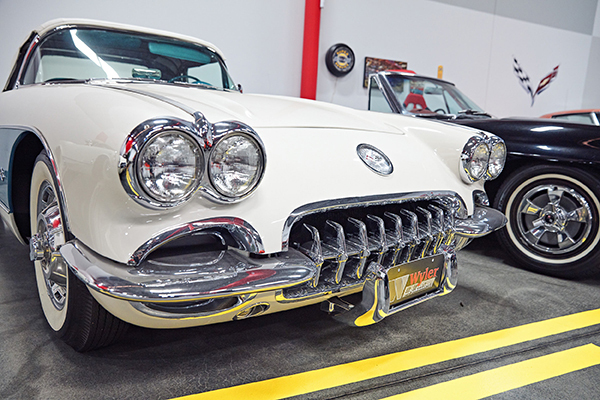 Forty-six years after opening his first of 17 dealerships, Wyler says he “never imagined that something like this would exist.” Wyler plans to return to Arizona this month to buy more cars. We can only imagine which hot wheels he’ll add to his collection.